It's harvest time in the Bluegrass State! 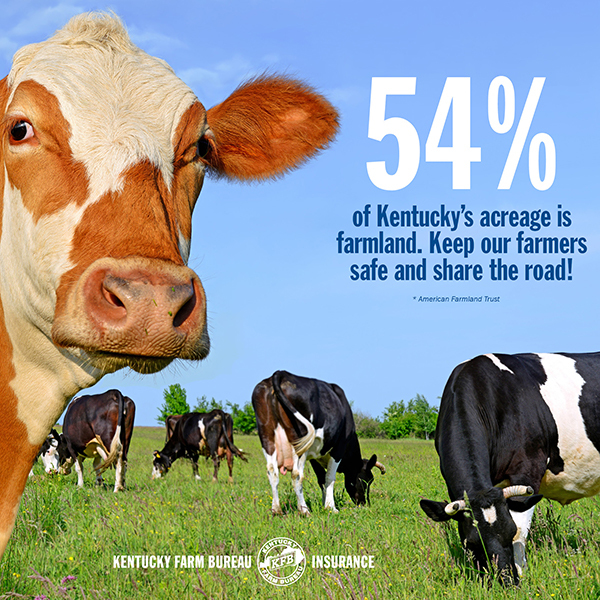 That means Kentucky drivers are pretty likely to encounter slow-moving farm equipment on the roadways. According to statistics from the Kentucky State Police, there were 229 collisions involving tractors and other farm equipment on Kentucky roadways in 2015, the latest report available. Did you know that more than half of Kentucky is farmland? 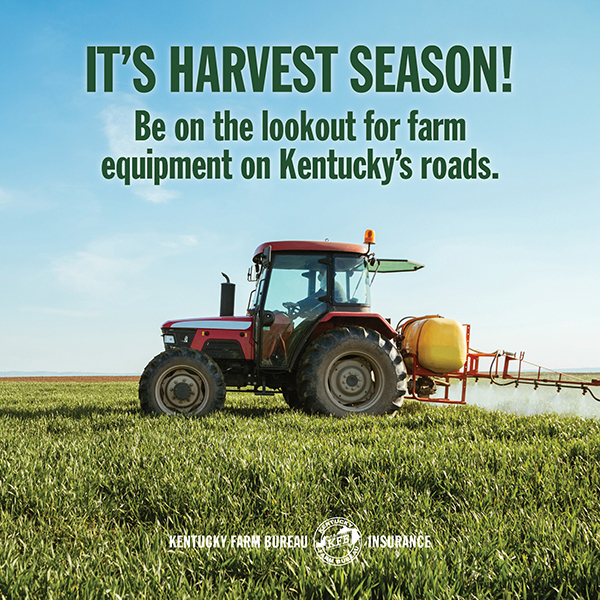 That means Kentucky drivers are pretty likely to encounter slow-moving farm equipment on the roadways – especially during September, which is harvest time for many crops across the state. During this time of year, farmers often need to move equipment from one field to another, but sometimes those transitions require their machinery to travel down or across public roads. 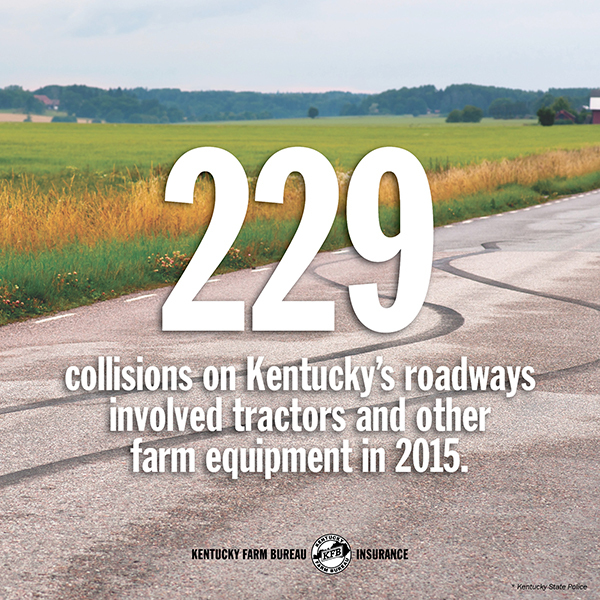 According to statistics from the Kentucky State Police, there were 229 collisions involving tractors and other farm equipment on Kentucky roadways in 2015, the latest report available. Many of the accidents (41 percent) were labeled by state police as the result of "inattention" – further proof that increased caution during harvest season is needed to prevent tragedy. Other prevalent causes for collisions included failing to yield right-of-way and improper passing. Watch for road signs. Many roads next to farms will have a yellow sign with the silhouette of a farmer on a tractor posted to warn drivers that they are entering an area where slow-moving vehicles are likely to be on the road. Don't assume the farmer knows you are there. While most farmers check frequently for vehicles approaching from behind them, their focus must remain on the road ahead. Also remember that farm machinery is very loud and may prevent the operator from hearing your vehicle's approach. Keep your distance to ensure farmers can see your vehicle in their mirrors. Stay back and don't tailgate. The triangular slow-moving vehicle emblem displayed on the back of farm equipment signifies that the machinery will not be traveling at high speeds and maneuverability is limited. Additionally, if the farm equipment you are following pulls to the right side of the road, it does not necessarily mean it is making room for you to pass. It is quite possible that the farmer is slowing down and drifting right to gain extra room for a wide left turn. Use extreme caution when passing. If you cannot clearly see what lies ahead of both your vehicle and the equipment you intend to get ahead of, do not pass. 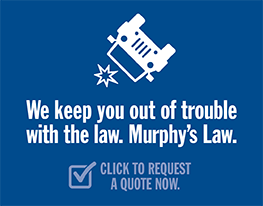 Never pass farm equipment when approaching a hill or curve, and do not attempt to pass when you are within 100 yards of an intersection, bridge, railroad crossing or tunnel. Additionally, turbulence created by speeding past machinery may cause it to sway and become unstable. Exhibit patience and slow down as soon as you spot a piece of farm equipment. Those tractors don’t want to be on the road any more than you want them to be. You are not the only one eager to get the farm equipment off the road and out of the way. Farmers must move their machinery carefully along roadways and have lower maximum speeds by which they can travel. When traveling behind these slow-moving vehicles, patiently wait for the operator to find an appropriate time to let you pass. Don't assume this can be done at any time. The farmer must survey the shoulder of the road for an area that is not soft, wet or steep and can support the weight of the equipment without causing it to tip. The 2018 National Farm Safety and Health week runs from September 16-22. Farmers are part of what makes Kentucky the great state it is – keep them in mind when traveling our state’s beautiful roads. >> In Kentucky, there’s so much to live for. Join us in driving distraction-free. To learn more about distracted driving’s prevalence in the Bluegrass State, click here.